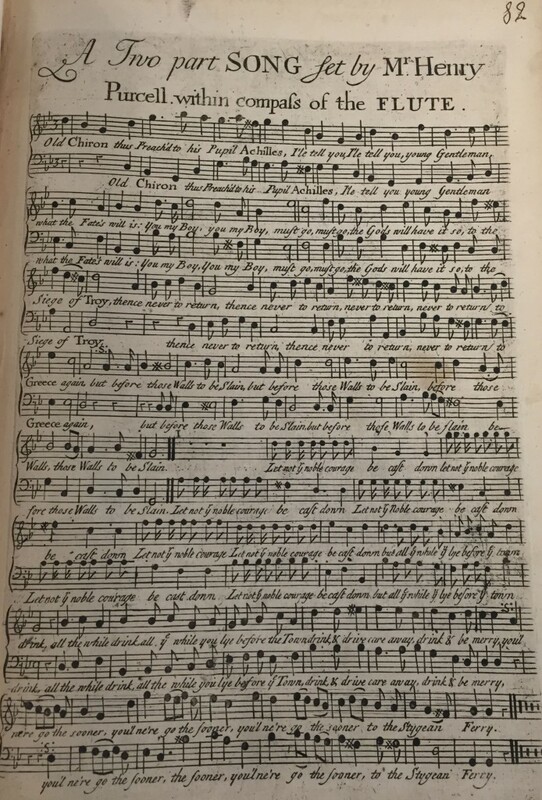 Generally, each sheet transmits a single song scored for voice with keyboard accompaniment; frequently, in a convention lost to time, sheets also include transpositions of the melody for performance with transverse flute (also known as German flute). The use of guitar accompaniment is nearly as common. Most are engraved, some are printed in movable type. 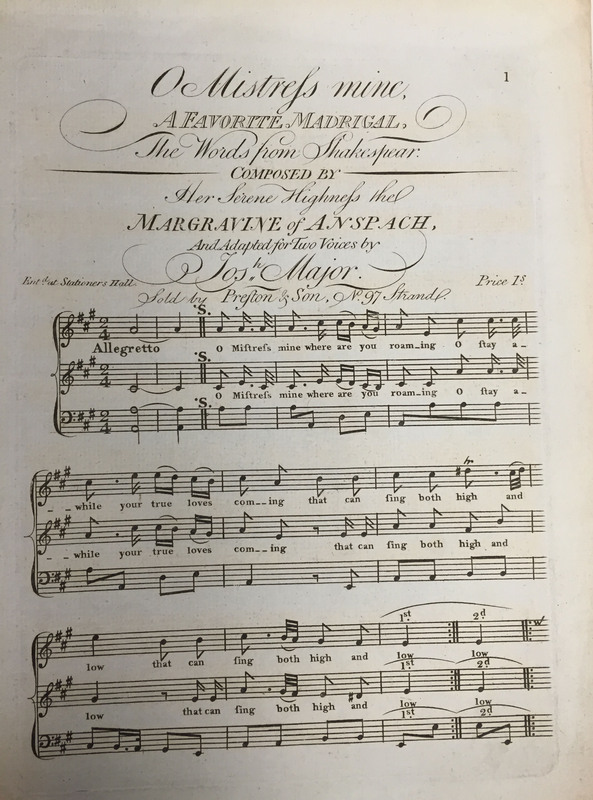 Publications such as these were the primary means for distributing (usually solo) vocal music with simple accompaniment for domestic use. There are songs for use at clubs, such as the amateur musicians of the Anacreontic Society, the Beefsteak Club and the Je Ne Sçai Quoi Club. And there are songs for the theatre, mainly Drury Lane and Covent Garden but also Lincoln’s Inn and the King’s Theatre. The locales were urban, domestic, theatrical and provincial, and included the London pleasure gardens (represented by over a hundred songs), the Hanover Square Rooms and the concert scenes of Bath, Bristol and Liverpool. 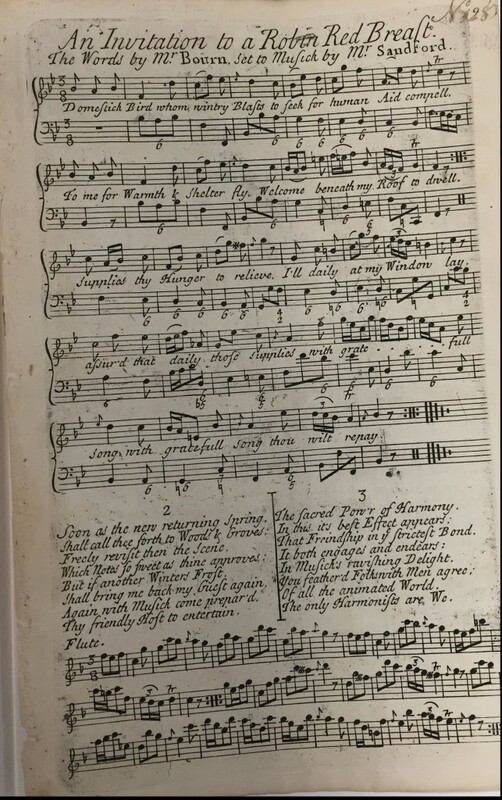 Among the composers are Johann Christian Bach, Henry Purcell (with 38 items), Georg Friedrich Handel (36) and John Stafford Smith, composer of the melody for the Stars and Stripes. The texts are by a just as large a range of writers: Thomas D’Urfey, Ben Jonson, Alexander Pope, Sir Walter Scott, Shakespeare (with at least 35 items) and many more. Spanning the reigns of four kings and one queen, the collection offers a rare, ready-made opportunity for detailed scholarly research into a number of topics: song (art and otherwise), literature, publishing, paper types, printing technology, marketing, collecting, circulation, domestic music-making, individual singers (male as well as female), venues, morals, opera, theater, genre, and notation. They bear witness to two centuries of song composition as well as musical consumer culture in the English-speaking world. The opportunities for inquiry and discovery are great. Some of the pieces here survive in many known exemplars while others are unique to this collection. 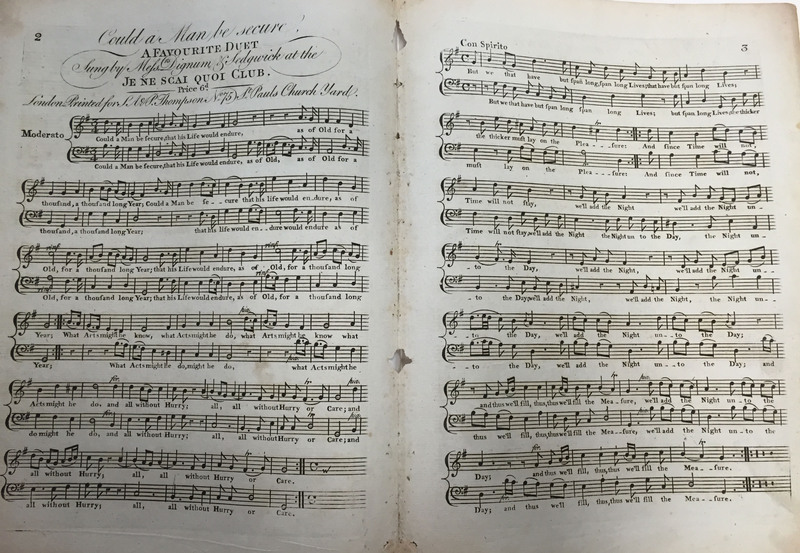 Moreover, while many of these songsheets are rare items because they were ephemeral (and probably published in very short print-runs), few institutions host such large collections of the genre. 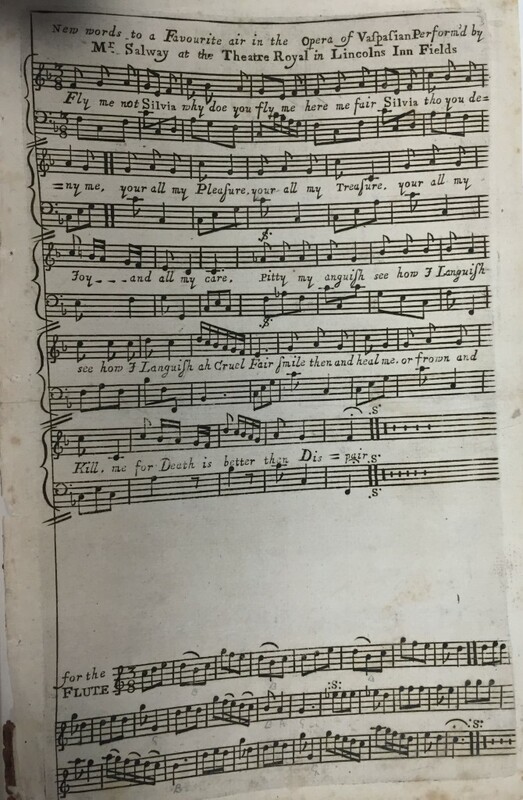 To request items from the collection of Songs in the English language, 1675-1870, begin here. The staff of the Isham Memorial Library will be pleased to assist researchers who wish to work with these materials, or who would like to know more about about the collection. Submitted by former Isham Memorial Library Assistant Ellen Exner and by Christina Linklater, Keeper of the Isham Memorial Library.